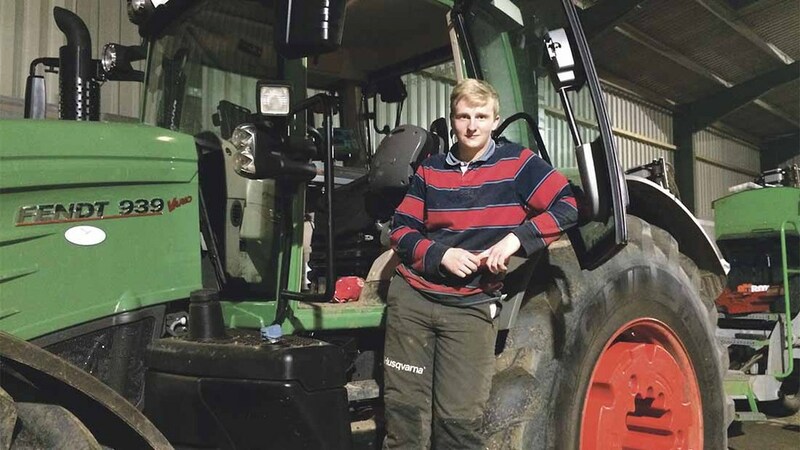 With an upsurge in the number of students studying agriculture, Julia Corfield takes a look at the benefits of pursuing an apprenticeship. The Edge Careers team will be at CropTec on stand 112 and 113, and more information on their work and national vacancies can be found at www.edge.careers, or by calling 01603 881 979. 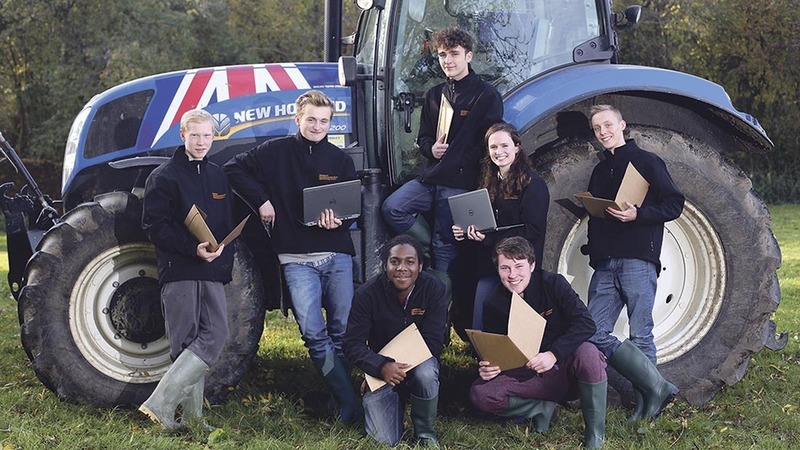 After two successful years operating in the east of England, Edge Careers is now working across the UK to link young people with employers and training providers, helping them take their first steps towards careers in agriculture. The project team helps to support new entrants on the career path which best suits them, including apprenticeships, study and employment, in a wide range of sectors, from machinery and livestock to agribusiness and food production. Edge project manager Richard Self says: “Agriculture has an ageing workforce and the industry is not benefiting from the new skills and ideas which younger workers can bring. “Our service offers farmers assistance to take on young people and new entrants and get them trained, while employees benefit with recognised qualifications and a job. “Agriculture is one of the UK’s most progressive industries. We are seeing technology grow in many areas of the sector, including precision farming and automatic animal feeding systems and there are some fantastic job opportunities. Ben was looking to pursue an apprenticeship last year. He had already spoken with his employer and approached Edge to help them with the transition to an apprenticeship. Having completed his BTEC, Ben gained a basic understanding and knowledge and he now spends one day a week studying for an apprenticeship. Since starting his apprenticeship his knowledge has expanded, especially around machinery, where he has now progressed from a farmhand to the relief drill man. He says: “An apprenticeship means I get on-the-job training and it works well for me to be able to learn a task while doing it. There is great potential here for career progression and learning. “There are lots of challenges to face – such as operating large machinery – and learning to think quickly when things don’t go to plan, but this is what makes it interesting. When asked what advice he would give others thinking of applying for an apprenticeship, his answer is two fold. Ben has also been selected to attend the International Agricultural Skills competition, which welcomes representatives from 18 European countries to Luxembourg this month. The ‘Agrolympics’ consist of 18 practical tasks to test key farming skills, including tractor and trailer reversing, bale stacking, stockjudging and changing wheels. He says: “I applied for this trip as I thought it would be a great experience to meet other young farmers from all around Europe, making contacts and seeing how other farmers operate. Sainsbury's has unveiled its first crop of farming apprentices to boost what it believes is a chronic shortage of young farmers in Britain. CropTec, the leading specialist arable event, will host an interactive workshop designed to offer students a diverse insight into career opportunities in the arable industry. In conjunction with the East of England Agricultural Society and sponsored by Edge, the free event will highlight the diverse career opportunities in the food and farming industries, the different skills they require and how to approach specific companies and organisations for career advice and employment opportunities. From practical farm management to research, technology, agronomy and consultancy, students will hear professionals and recent graduates who will explain a typical working day, roles, responsibilities, challenges and benefits. CropTec, a two-day technical event for arable and mixed farmers, opens for business on Tuesday, November 24 at the East of England Showground, Peterborough. Organised by Briefing Media Agriculture, it brings together farmers, industry experts and researchers, plus the latest products and services from more than 100 exhibitors. A comprehensive seminar programme also features 16 leading speakers covering a wide range of technical, practical and business issues. The careers forum will be held on the Wednesday. For more information and to see live national vacancies visit www.edge.careers or call the team on 01603 881 979 or meet the team at CropTec on stand 112 and 113.